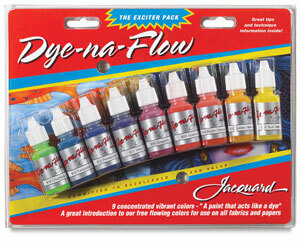 Textile paint that simulates dye. 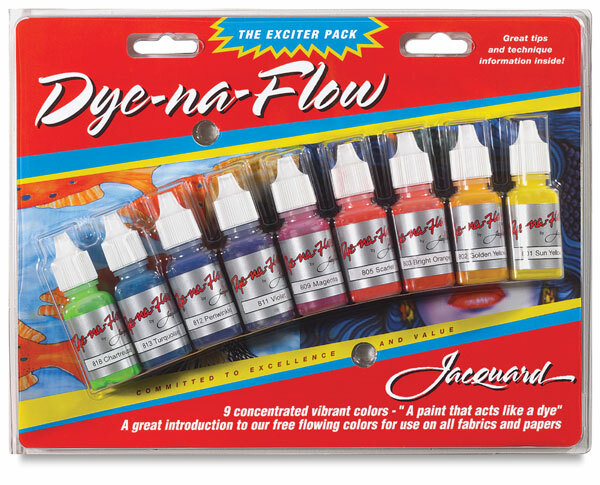 Perfect for silk painting, airbrush, batik or tie dye onnatural or synthetic fabrics. Colors include Sun Yellow, Golden Yellow, Bright Orange, Scarlet, Magenta, Violet, Periwinkle, Turquoise, and Chartreuse.